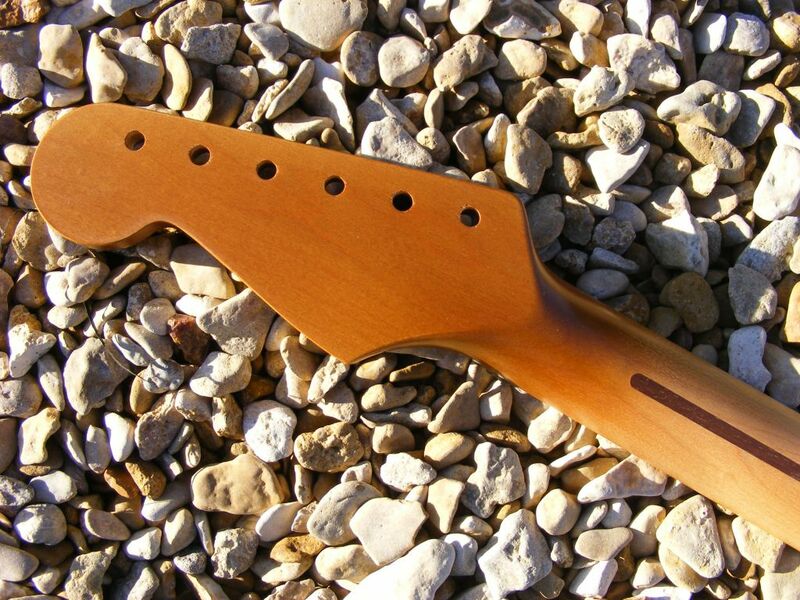 These pictures show necks finished in a nitro tint looking clean and shiny. 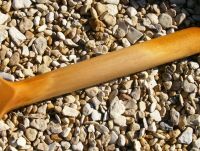 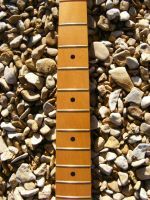 We have subtly aged these necks with a little more gradation of tint on the back and some minor wear marks between some of the lower frets. 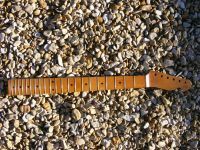 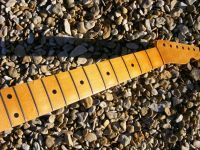 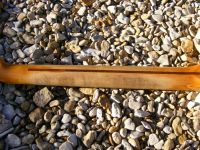 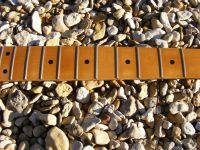 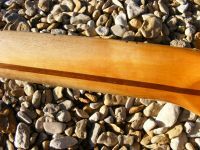 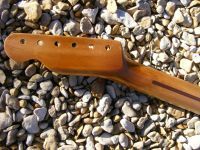 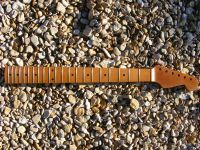 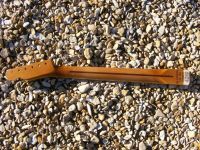 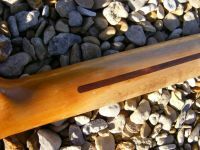 Increased darkening and looking slightly dirty and worn along the back of the neck with more accented wear marks between frets. 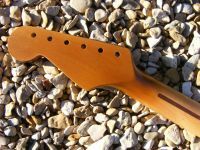 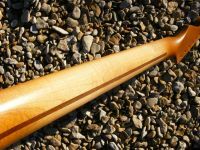 This one is very grubby along the back, fading out to a much darker tint at the headstock and heel. 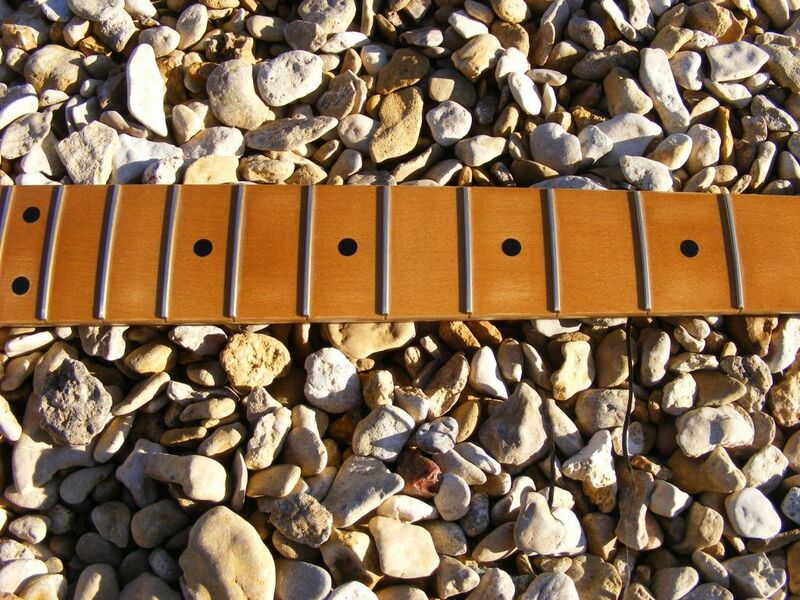 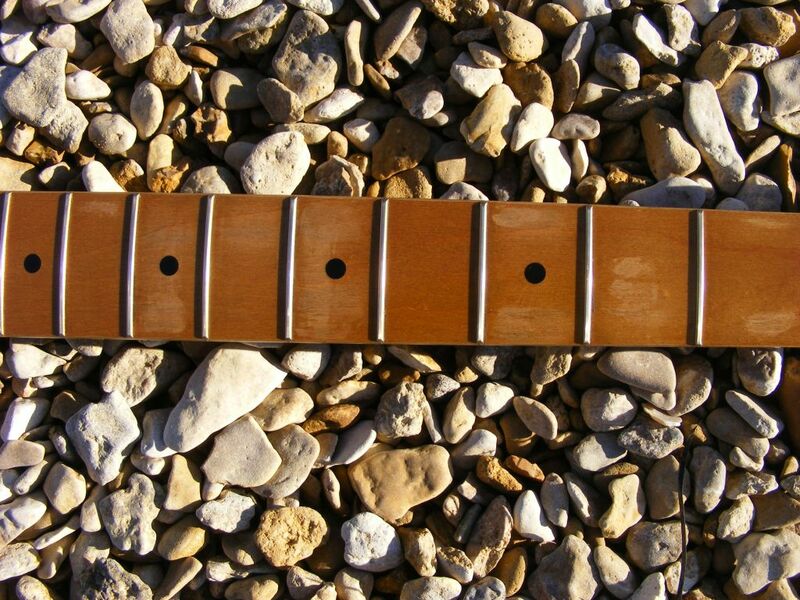 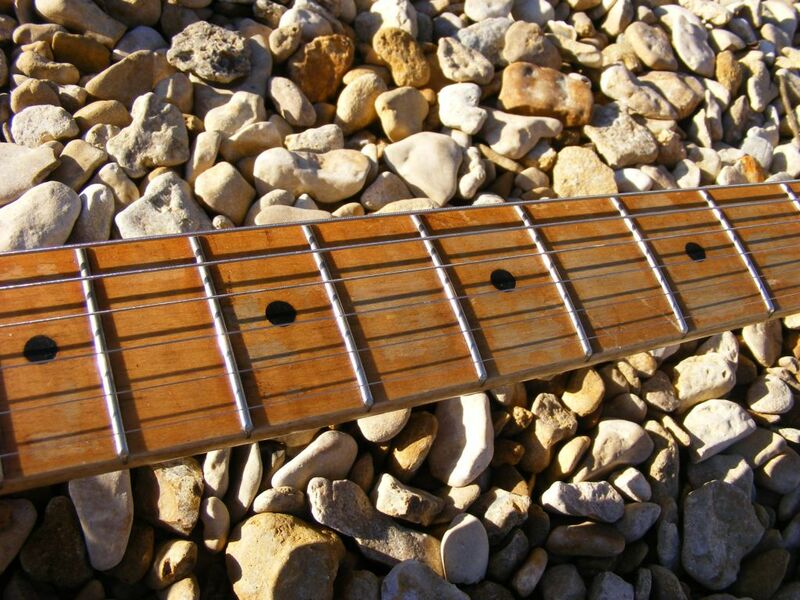 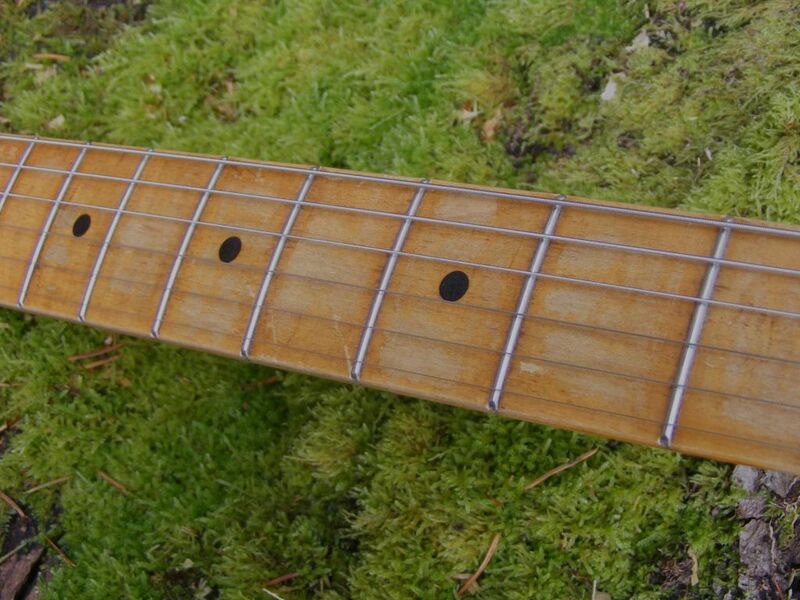 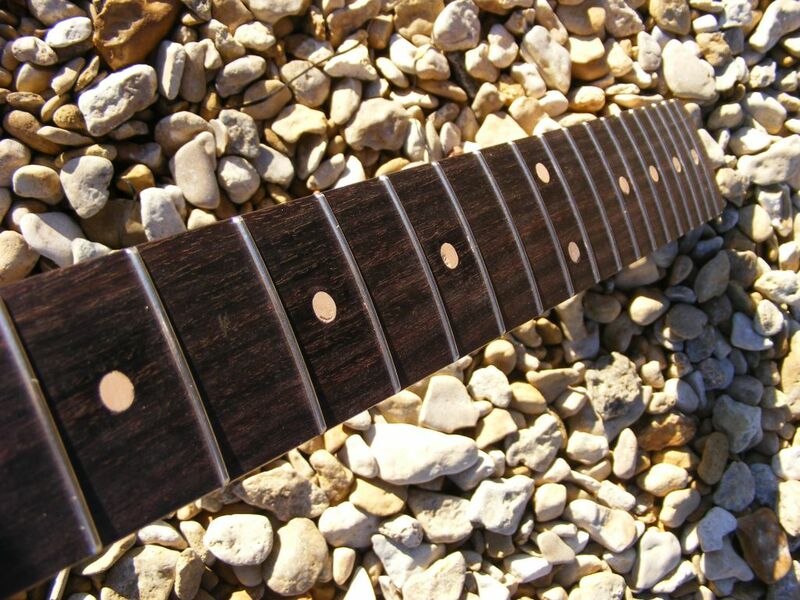 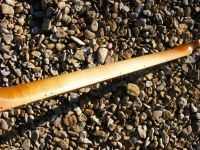 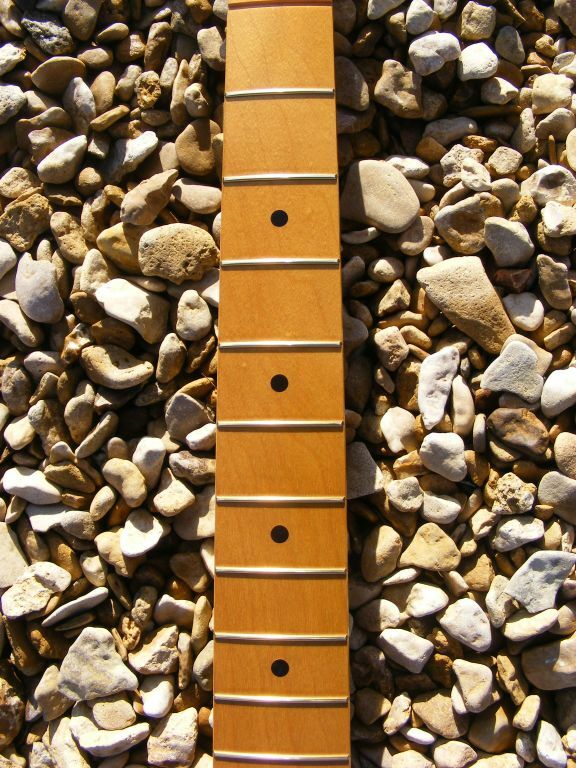 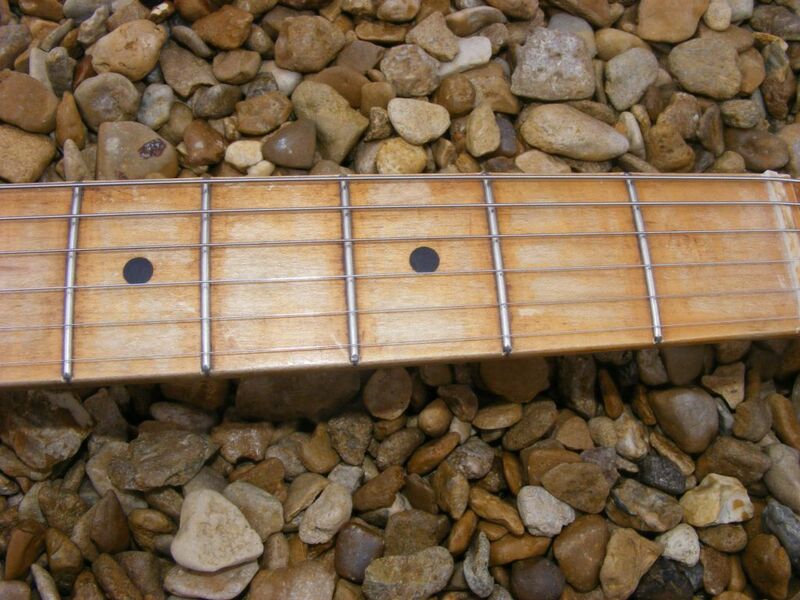 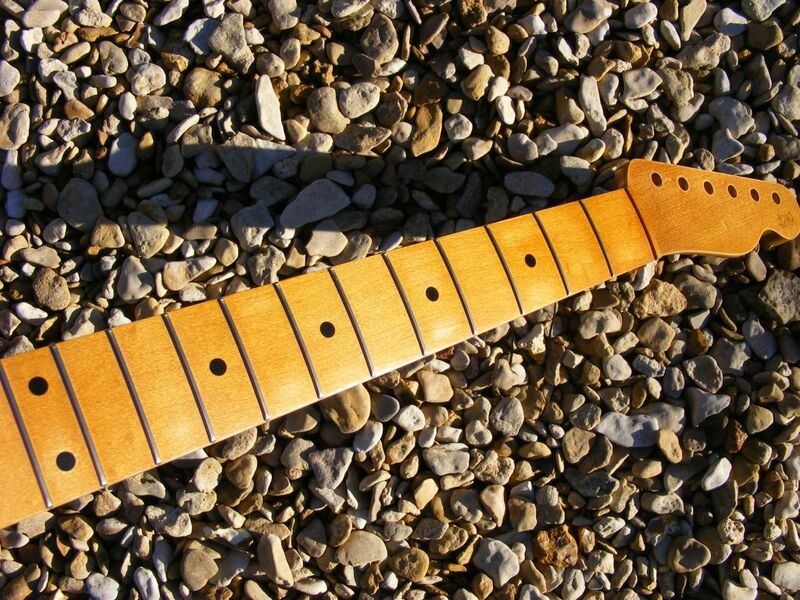 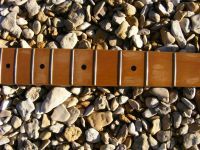 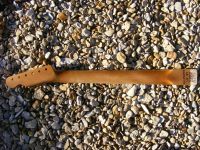 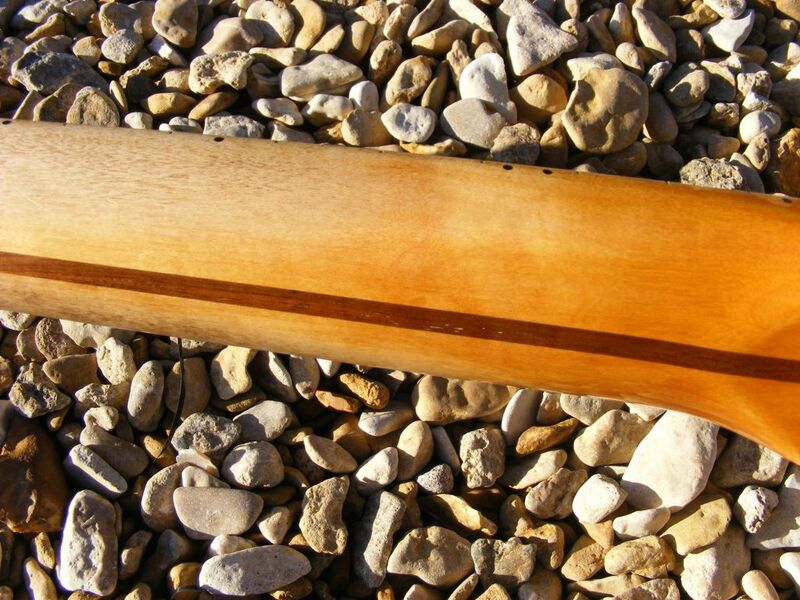 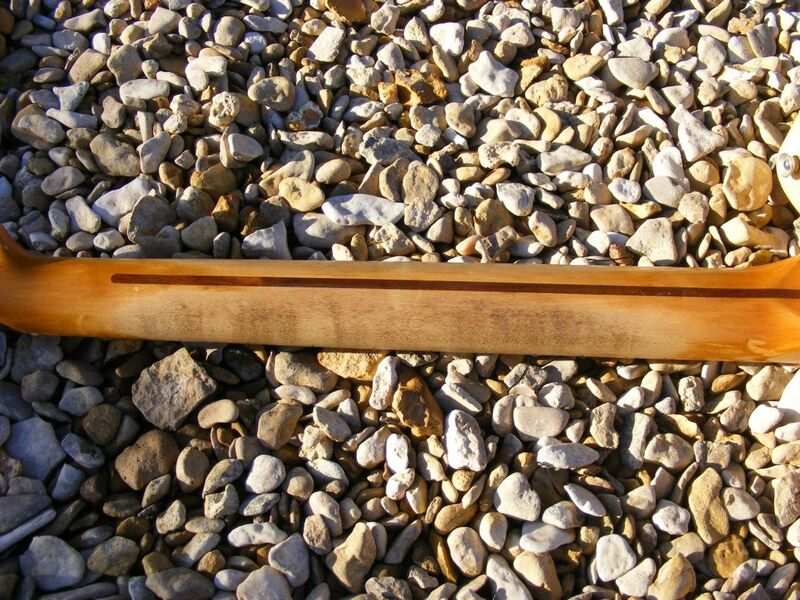 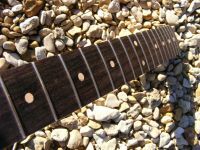 The fretboard shows more wear with extra darkening and flaking of the lacquer finish. 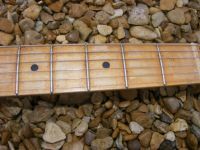 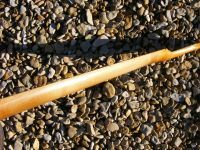 42nd Street Guitars and / or Angela Arnott are not affiliated with Fender Musical Instrument Corporation or any other musical instrument manufacturer in any way. 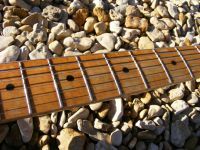 Fender®, Strat®, Stratocaster®, Relic®, La Cabronita®, La Cab®, Tele®, and Telecaster® are registered trademarks of Fender Musical Instruments Corp. 42nd Street Guitars in no way implies that it builds or sells Fender® guitars. 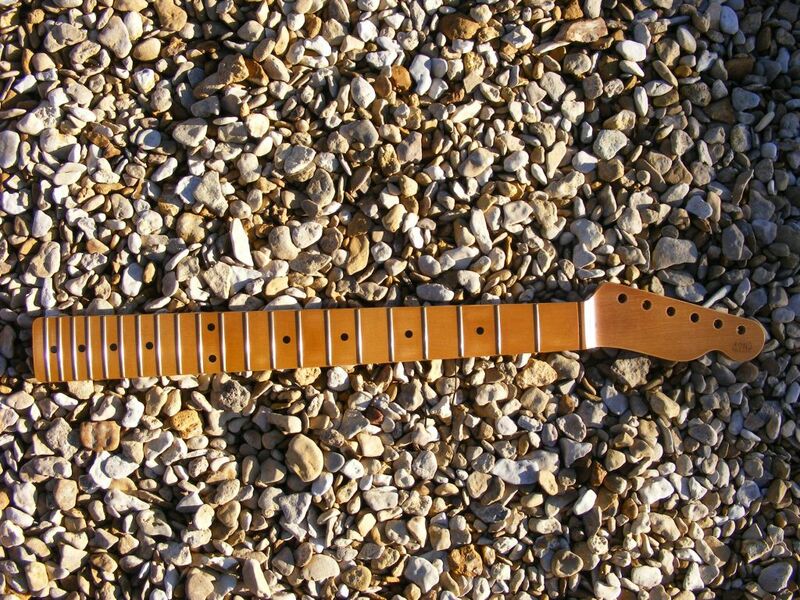 Even where original Fender® parts are used no Fender® warranty applies. 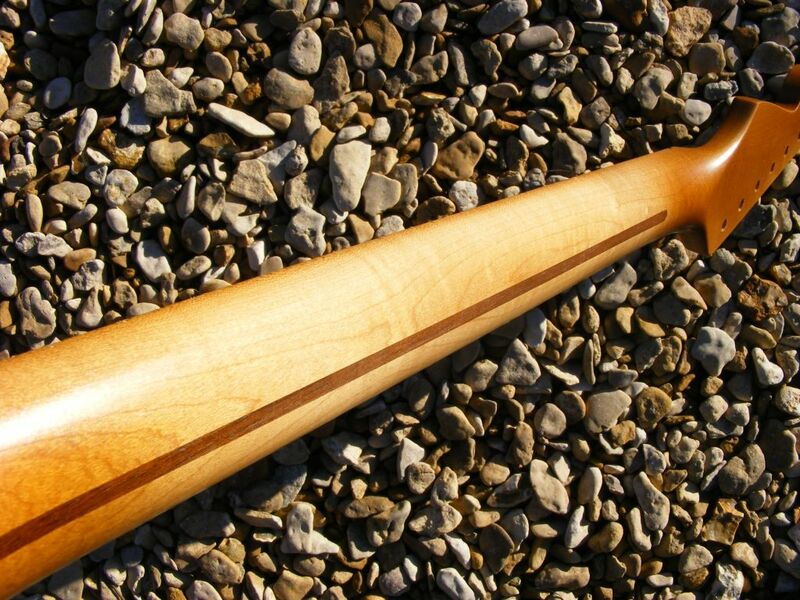 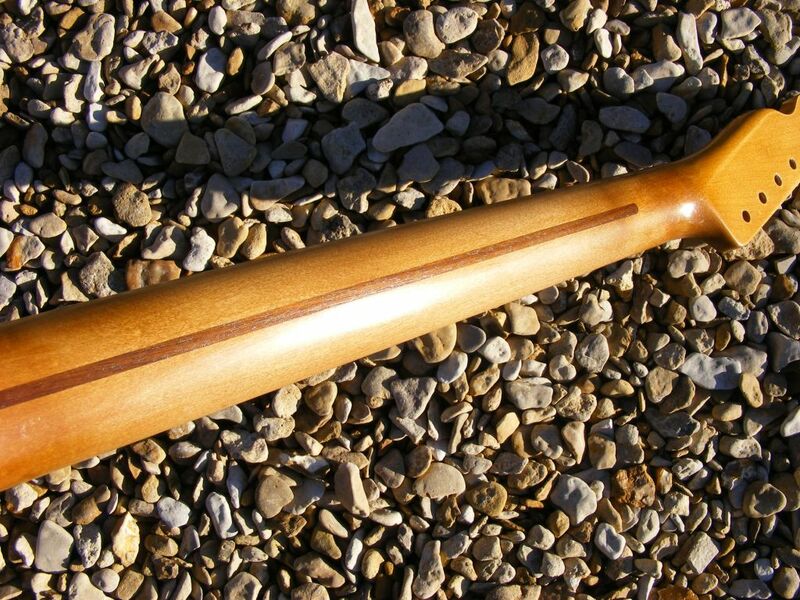 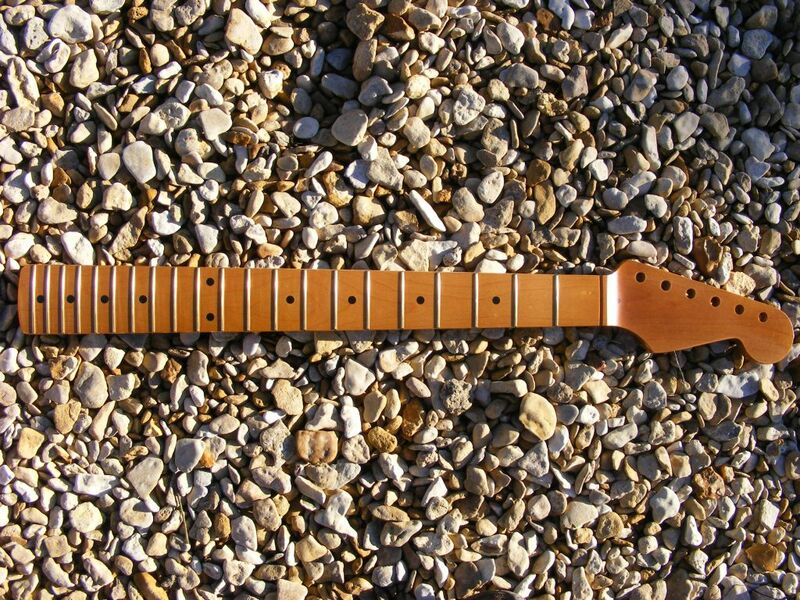 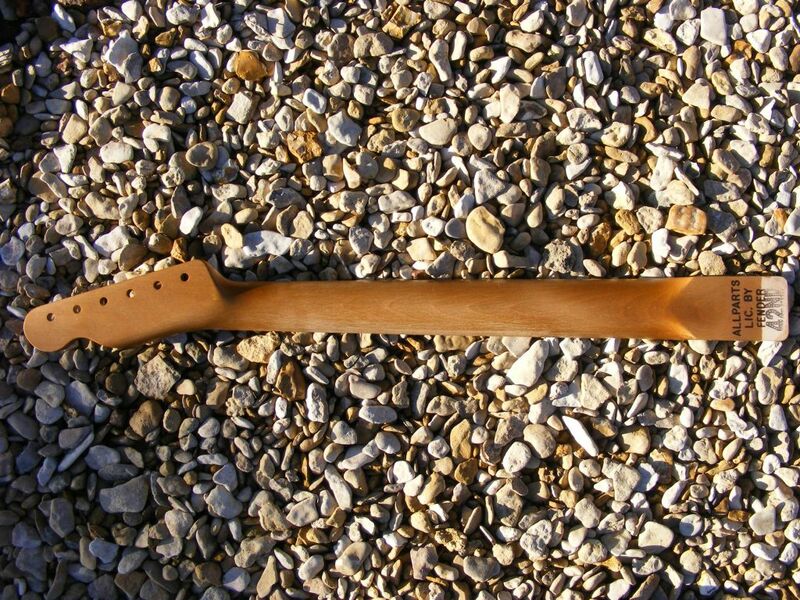 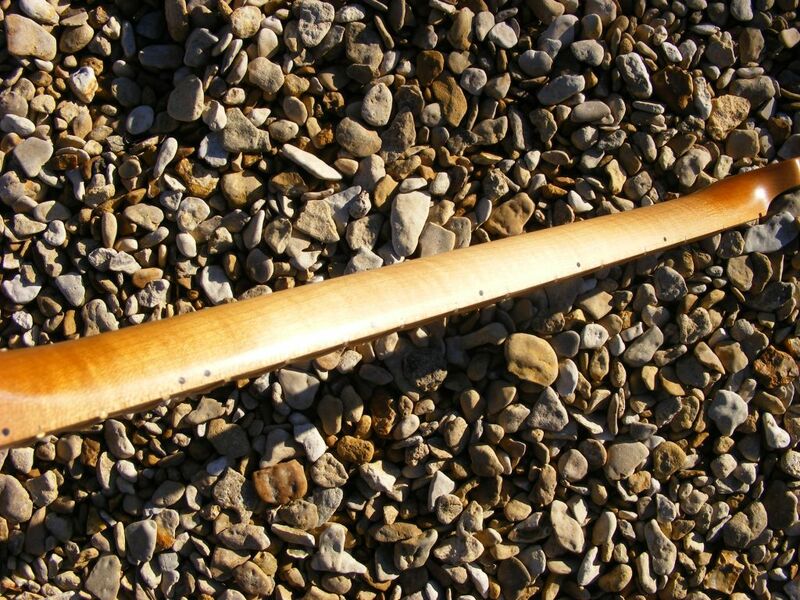 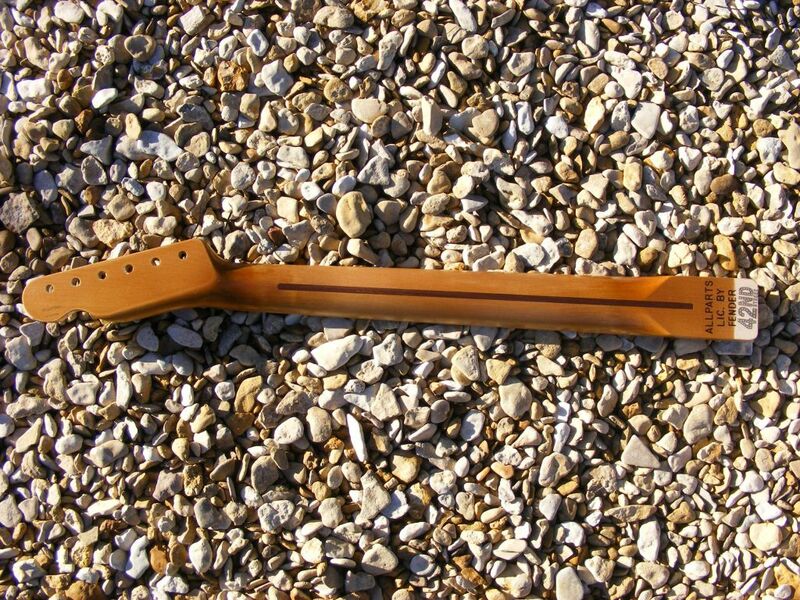 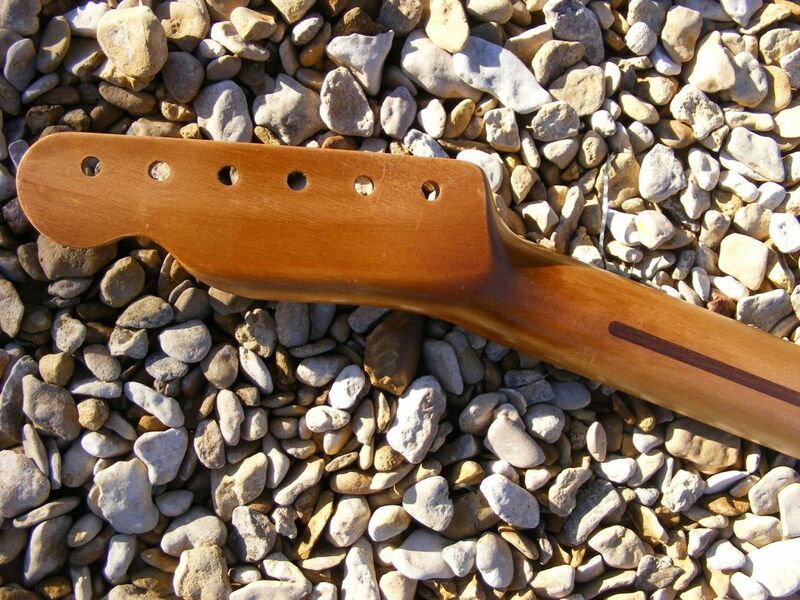 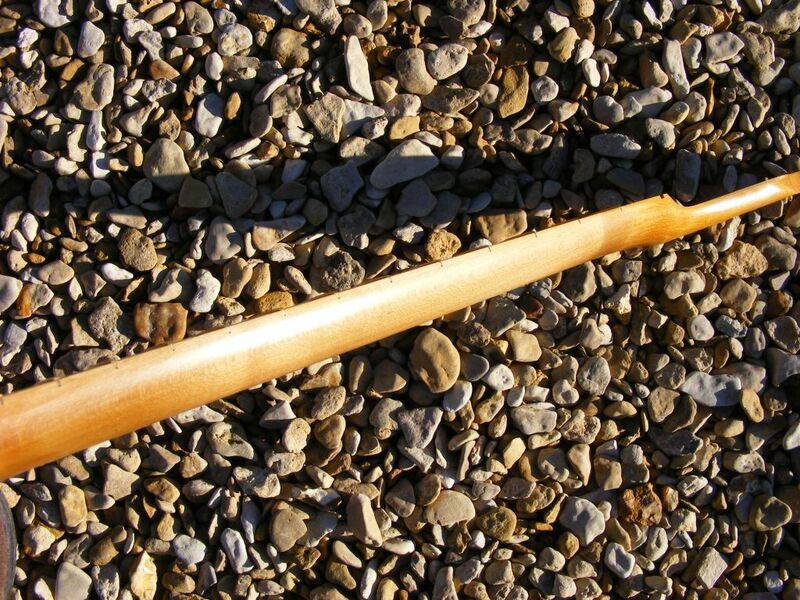 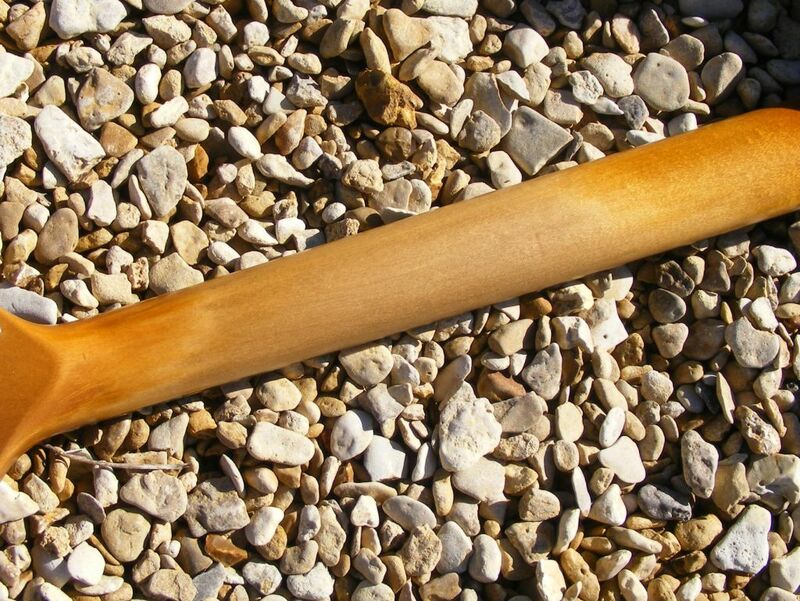 All of our necks which have a trademarked Fender® headstock shape are fully licensed by Fender®. 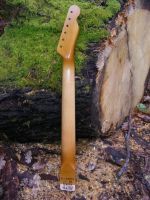 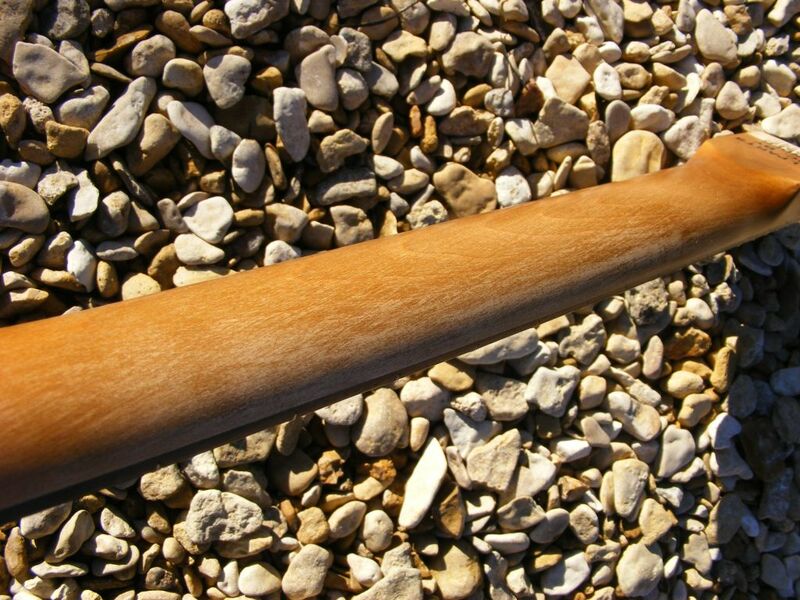 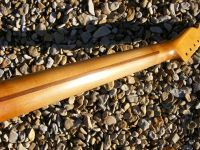 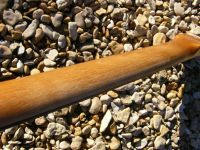 Our replacement bodies are not made or endorsed by Fender® and as such are not guaranteed to fit genuine Fender® parts.